Today's young readers will truly be enchanted by this version of the Brothers Grimm classic, set in an American frontier. As she sets out to visit her grandmother's house deep in the woods, Little Red Riding Hood has no idea what is in store for her. She soon suspects that her basket of sweets isn't the only thing her new friend the wolf is after! 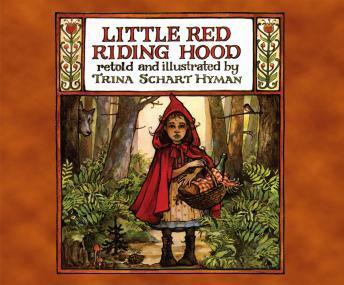 With the help of a brave hunter and her grandmother, Little Red learns a valuable lesson about following her mother's instructions.